Royal Chemical manufactures a broad line powder and liquid products used to treat and clean surfaces prior to annealing, coating, plating and a multitude of finishing operations. Our refined processes and exacting standards ensure consistent quality batch after batch and our volume position helps keep material costs at a minimum. Have a metal cleaning question? We have the answer. What tank materials are available? 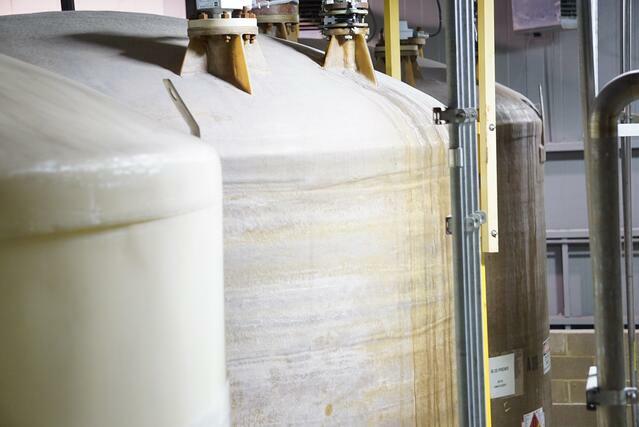 Royal Chemical has over 60 blending tanks and 100 storage tanks constructed from a range of materials, including Stainless Steel (304 and 316), polypropylene, FRP, hastelloy, and glass lined.